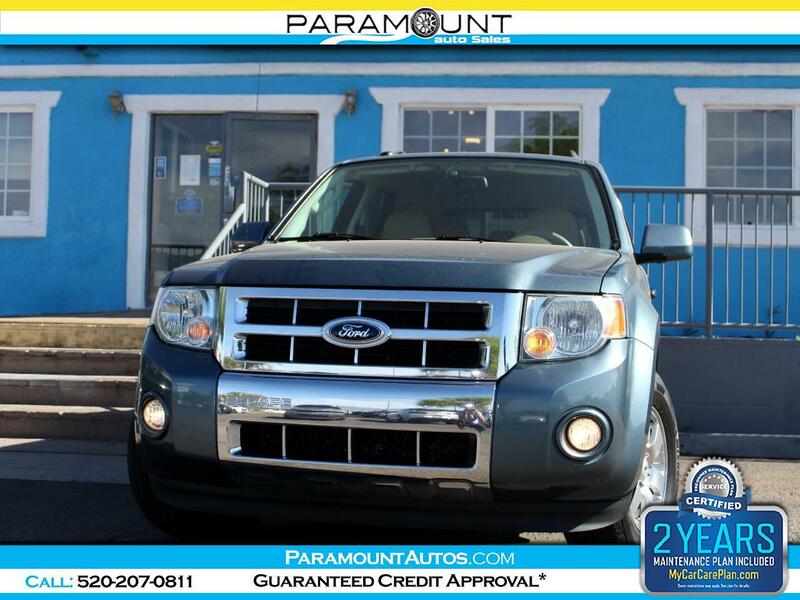 2012 FORD ESCAPE LIMITED SMALL SUV... THE ESCAPE IS JUST THE PERFECT SIZE ESPECIALLY FOR BEGINNER DRIVERS... IT'S NOT TOO SMALL, NOT TO BIG, HAS A SHORT WHEELBASE FOR GREAT MENUEBERABILY, AND IT HAS GREAT GROUND CLEARANCE! THE 2.5L 4CYL ENGINE AND THE 6 SPEED AUTOMATIC COMBINATION IS VERY EFFICIENT BUT ALSO FEELS PLENTY POWERFUL! THIS ESCAPE COMES WITH A WARRANTY, CARFAX, AND 2 YEARS OF MAINTENANCE!! EASY FINANCING AVAILABLE! !